On November 06, 2017, for the first time, Deutsche Hochschulmedizin e.V., das KKS Netzwerk [Coordinating Center for Clinical Trials] and the vfa published recommendations on model clinical trial agreements: "Joint recommendations for the preparation of a total services calculation for remuneration related to the conduct of a clinical trial in a trial center". They are intended as a non-binding guide and starting point for the practical negotiation of contracts between all organizations in Germany participating in the conduct of a study. Before a clinical trial on medicinal products can start, the study sponsor, participating trial centers and, if applicable, any other partners have to carry out usually extensive contract negotiations. Besides the specifics of the planned clinical trial, there are also many recurrent cost items to take into account. Without being legally binding, the joint proposal explains how, if the respective study protocol and the recommendations are taken into account, comprehensive remuneration of all direct study-related costs can be enabled in a total services calculation based on the principle of "fee for service". In this respect, the recommendations particularly address tasks that, depending on the project, are to be performed in the context of conducting a clinical trial, but which are not or only inadequately described in relevant service specifications (such as the medical fee schedule). 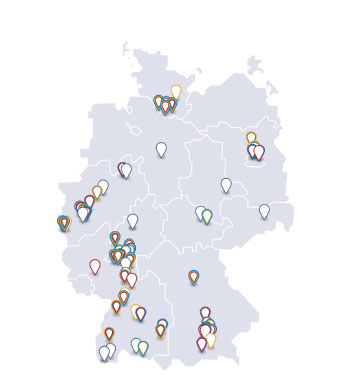 The organizations involved in drawing up the recommendations - Deutsche Hochschulmedizin, KKS Network and vfa - intend to periodically review the recommendations in the future, taking account of new developments in clinical research.